Art for sale at First Pres, a photo by trudeau on Flickr. 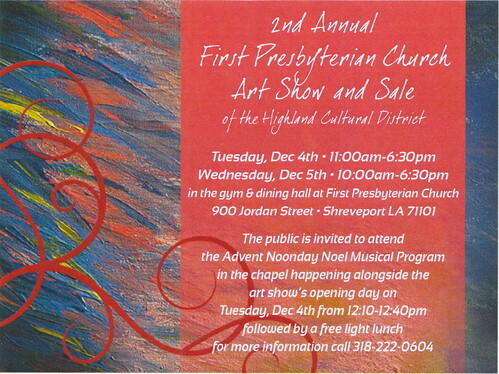 Art show, refreshments and the rich tradition of music at First Presbyterian Shreveport. Baroque Artists of Shreveport, a photo by trudeau on Flickr. "With sadness, I share news of the death of Don Smith on Thursday, November 22, which is the feast day of St. Cecilia, the patron saint of musicians," writes Daniel Santilices. "Don was a harpsichord-continuo performer with Baroque Artists of Shreveport for many years. As BAS principal violinist Laura Crawford has eloquently stated, 'We love him and spent some of our happiest hours in life playing beautiful music with him....a most charming, noble, outstanding musician and friend.'" He recently completed 28 years of service at St. Mark's Episcopal Cathedral as Organist and Choirmaster. He worked with the church choirs, boys choir and hand bells and was the Director of chapel music and choir in the Day School until assuming the role of organist and choirmaster in the fall of 1987. A memorial service will take place Saturday, December 8, 2012, at 2:00 at St. Mark's Cathedral. "Before he passed away, Don requested that the Baroque Artists of Shreveport perform for his memorial service and we are planning to fulfill his wishes.," adds Santilices. Destiny Toro in Shreveport Dec 17 - 22, a photo by trudeau on Flickr. 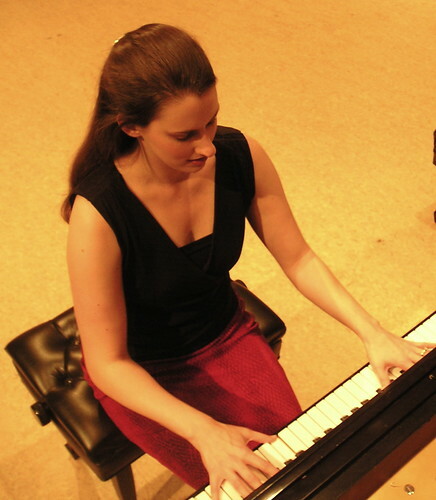 Destiny Toro at Refuge Meditation Group, 622 Jordan St.
Wideman Piano Competition finalist: Christine Bethanne Johnson, a photo by trudeau on Flickr. It is an annual moment in the global limelight for Shreveport. The world's best young pianists, their hosts and regional aficionados arrive at Anderson Auditorium, Centenary College, for the Wideman International Piano Competition. Forty-six contestants from sixteen countries will compete for the gold, silver, bronze, and honorable mention titles, says Lester Senter Wilson. This year free performances will take place Nov 30-Dec 1. - Fri, Nov 30, 10:30 a.m.-1:00 p.m. and 2:30-6:30 p.m.
- Saturday, Dec 1, 9:30 am-1:00 p.m. and 2:30-6:00 p.m.
- Finals: Sun, Dec 2, beginning at 1:00 p.m. Admission for the final competition is $5. Buddy Flett, Shreveport, a photo by trudeau on Flickr. Listen to Buddy Flett at Bears on Fairfield 6-9 pm, Wed, 11.28.12, says Bruce Flett. CD. 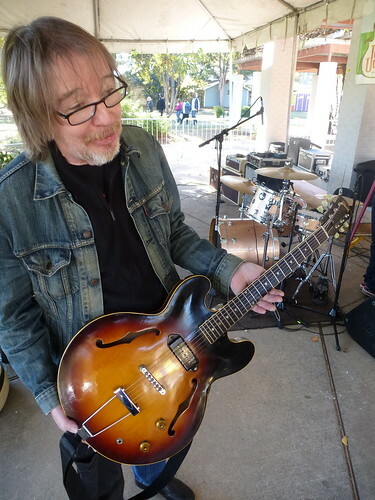 Hear it on “Songs After Sandy: Friends of Red Hook for Sandy Relief,” featuring Ringo Starr and others, says Flett. Clementine Hunter 'Untitled', a photo by hanneorla on Flickr. Author Tom Whitehead will speak from 2 to 3 pm on Sun, Dec 2, about his book, Clementine Hunter, Her Life and Art, says Diane DuFilho. Timothy Jones, bass-baritone, a photo by Jones web site on Flickr. 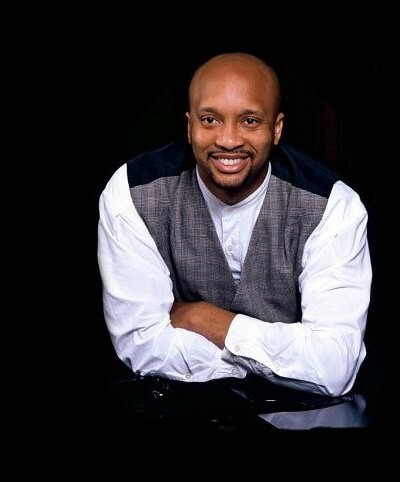 Timothy Jones, a bass-baritone acclaimed in Europe, South America, Canada and the US, will return to hometown Shreveport to sing for the SSO Holiday Pops concert, says Michael Butterman. The audience will also inhale the Holiday Pops Children's Chorus and fresh choreography for the young dancers of Carol Anglin's Louisiana Dance Theater. Holiday Pops concerts by the Shreveport Symphony Orchestra at Riverview Theater are 7:30 pm, Sat, Dec 15, and 2:30 pm on Sun, Dec 16. John Grindley, Shreveport, a photo by trudeau on Flickr. In a story by David Dax in fastcompany.com, CoHab's John Grindley was persuaded to divulge a few of the secrets that are making Shreveport the vibacious stealth center of tech-minded Louisiana. The story is entitled, "$1,000 Rent, Tax Credits, And "Shrimp Busters": Why You Should Start Your Startup In Shreveport." A taste of the Dax story . . .
"Silicon Bayou, anyone? John Grindley, the executive director of CoHabitat Foundation, makes a case for the Louisiana town at the top of the boot. How did Shreveport become a tech hub? There was a big oil bust in the '80s, and a lot of industry left. We had a hangover for 20 years, with not much diversity in our economy. Louisiana decided they wanted to attract a diverse, creative economy, and gave tax credits to film and digital media. Then further tax credits kicked in for software development. Initially that seemed to only apply to videogames, but we got the law changed to be interpreted as applying to all software development in the state, and that blew the doors wide open. Originally when the film industry came seven or eight years ago, they landed in New Orleans, but Hurricane Katrina made people shift focus to other parts of the state." Victoria Williams sings in Shreveport Sun, Dec 16, a photo by trudeau on Flickr. 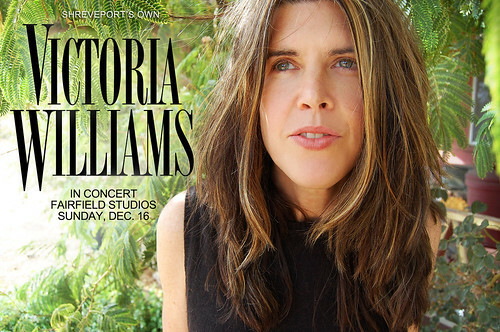 Songs written by Victoria Williams have been covered by a number of great artists, says Jim Huckabay, including Pearl Jam's Eddie Vedder ("Crazy Mary"), Lou Reed ("Tarbelly and Featherfoot") and Lucinda Williams ("Main Road"). She has appeared on "The Tonight Show", "Conan O'Brien", "The David Letterman Show" and toured internationally. A Shreveport native who has resided for the last twenty years in Josua Tree, California, she returns to her hometown for her first concert here in ten years. Sun, Dec 16, 7 pm. House concert series, Fairfield Studios. 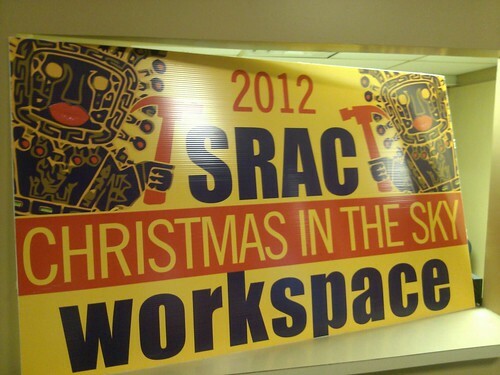 Volunteers have fun finishing Xmas in the Sky, a photo by SRAC on Flickr. "Less than 2 weeks to Christmas in the Sky," says Shreveport Regional Arts Council's Julia Foley. "We could really use your help finishing the sets. If you can volunteer...head over to Louisiana Downs to the 3rd floor." Join the gang of SRAC creatives, says Foley, "Every day from Noon to 9pm." Noids & communards at Big D's BBQ, Shreveport, a photo by trudeau on Flickr. When it's the holidays and hairy traveler Paul Garner rolls into town, keep a weather eye upon the green Common St complex known as Big D's BBQ. For here the young men and lassies can spin tales of their rambling as they strum under the sky and off the grid, mostly. From 6 pm. Valet parking. 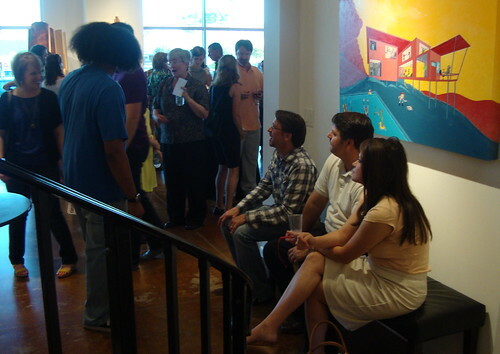 Chambers.Reans.Slaughter show at Gallery Fine Art Center, Bossier, a photo by trudeau on Flickr. 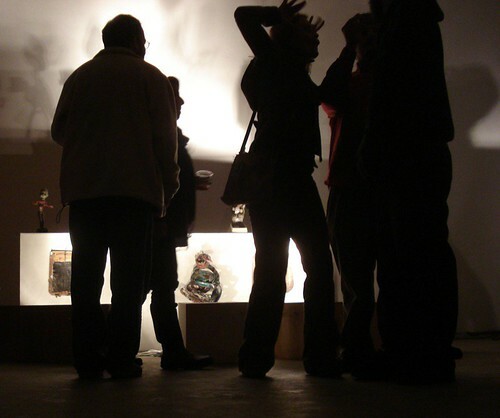 The "Wrap It Up: Holiday Art Reception" is an art party to which all are invited and welcome. Thurs, Nov 29 between 5 - 8 pm at Gallery Fine Art Center, 2151 Airline Drive, Suite 200 in Bossier City. Enjoy perusing the art in advance. It is also an event for Bossier Chamber After Hours, and Meredith Hamrick Events, LLC Ribbon Cutting. 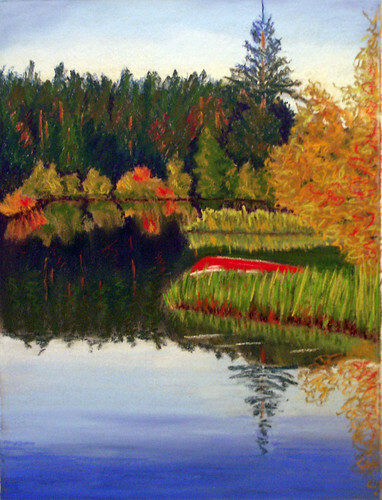 Red Canoe, pastel by Judy Horne, a photo by trudeau on Flickr. "Come see works by almost 30 artists in the Main Gallery and a selection of paintings by Judy Horne in the Corridor. These are the final exhibits at the Barnwell before it closes at the end of December for bond issue renovations," says Horne. Shreveport graffiti, a photo by trudeau on Flickr. While the deadline for the 5 minute-maximum film entries - shot in Shreveport - is Tues, Nov 20, there's another dimension of Xmas Under da Ground: the walls will be hung with flat art. Says curator Conchita Iglesias McElwee, "People have a weird perception it's just film. Not so. I am the art contact. The non-film art deadline is Dec 2." 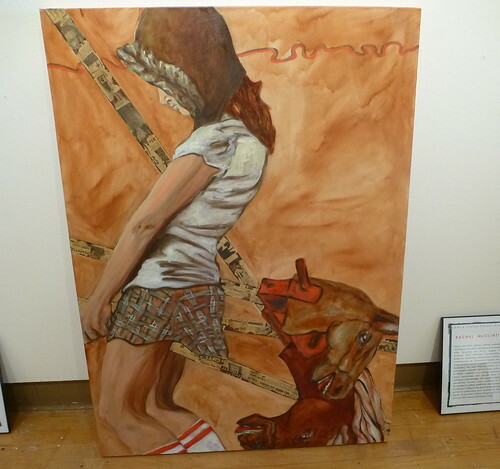 Fantastic Mr Fox, Artspace Shreveport: Theresa Andersson, a photo by trudeau on Flickr. Genius on violin, percussion, guitar, voices and looping, Theresa Andersson is a fountain of music. Bistro Byronz presents Andersson on Thursdays at 8:30, beginning on Nov 29, says Emelie Kantrow Alton. Two minutes into one of her youtube videos ("Na na na" has won 1.5 million views) one realizes that Andersson is a beautiful creature from another musical realm. First, she is a one-woman show; then top players are added to her musical flying carpet. Raised in Gotland, Sweden, she has lived in New Orleans since age 18. Her husband is puppeteer Arthur Mintz, the lad who brought a live-action puppet show called The Fantastic Mr Fox from New Orleans to Artspace Shreveport in 2011-2012. He has returned to Shreveport for a project with Moonbot Studios. 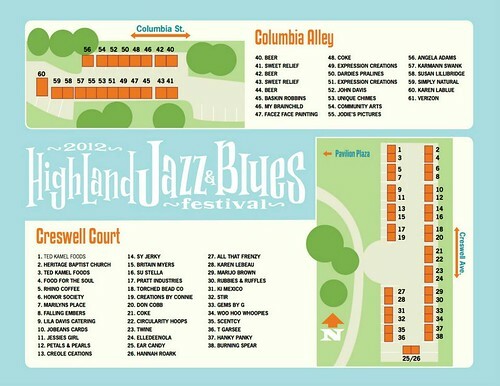 Highland Jazz & Blues Fest, Shreveport, Sat, Nov 17, 11:30 am to 5 pm, a photo by trudeau on Flickr. Music, food, beer, crafts and dancing and catching up with your friends. 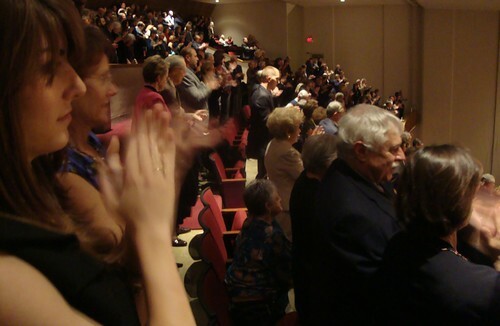 Shreveport Symphony Orchestra: standing ovation, a photo by trudeau on Flickr. Michael Butterman conducts a performance of Beethoven and Midkiff. 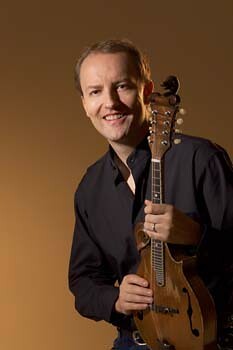 With the less-familiar composer Midkiff being a virtuoso mandolinist from Virginia. The Skies Revolt, a photo by JBurkunk on Flickr. If their schedule held, they played a gig at Maxine's in Hot Springs prior to arriving here. Discuss. 10 pm. With Sick/Sea. Bear's On Fairfield, 1401 Fairfield Ave. $5. 2012 CIS, a photo by trudeau on Flickr. by the Shreveport Regional Arts Council. Buy tickets online. They are $280 each. Online registration closes Dec 2. 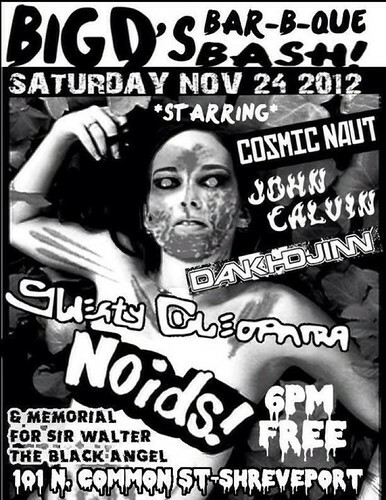 This dressy, crunktacular gig sells out every time. 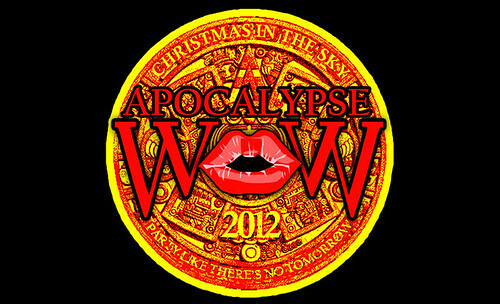 If the Mayan calendar has anything at all to tell us, it is that this will probably be the last Christmas in the Sky. So look sharp. Catch a vibe from CIS 08. Highland Jazz & Blues Fest, Shreveport: Michelle Loridans and Emma Busi, left, a photo by trudeau on Flickr. Big Bill Morganfield, AJ Cascio and a gang of blues players fill the HJ&BF schedule, but in the Gazebo you will find a bit of jazz. Winston Hall is scheduled for 12:45 and the Total Choice Jazz Band plays 2:45 to 3:45. The free fest is as much about the beer, food and crafts booths as anything. Kenney Koonce advises "Bring plenty of cash!" We encourage you to ride a bicycle to the fest. Buddy Flett, Jerry Beach Band, Scotty Boy Daniel, Glenn Rainey Band, AJ and the Two-Tone Blues band and Big Bill Morganfield. Hardrick Rivers Revue, Winston Hall Group, Bobby Mercy Oliver, and the Total Choice Jazz Band. Travis Whitfield photo from Keatchie, La, in the 1970's, a photo by trudeau on Flickr. Chronicling the lives of the older African American residents of Keachi (Keatchie), Louisiana, seemed a natural pursuit for painter Travis Whitfield in the 1970's. He captured his friends through painting, photography and audio recordings. "Further on Down the Road" is a multi-media exhibit offering those images to the world. Whitfield was raised near the small town of Linden, Texas. He grew up in primitive living conditions, he says. 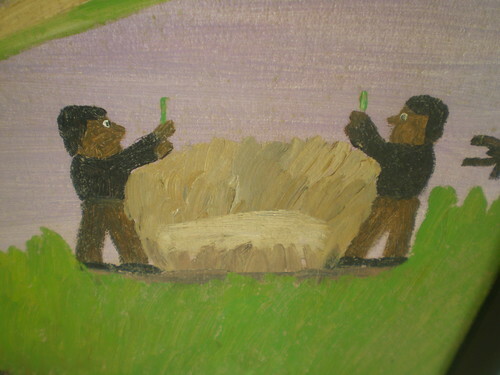 As a child, Travis started drawing from nature. Travis was a "country boy," as he puts it, but graduated from the University of Houston (BFA, '68). 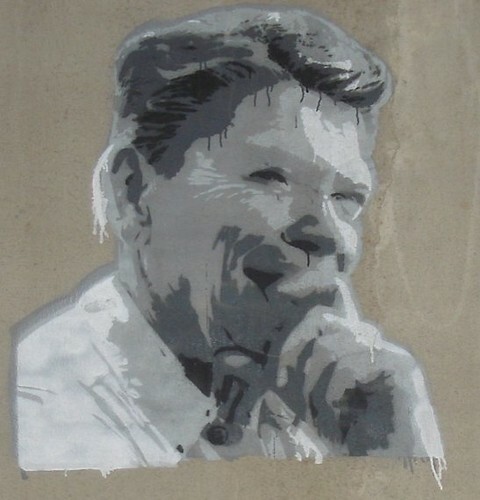 In the early 1970's he was at Tamarind Institute (a lithography workshop) in Albuquerque and taught watercolor at the High School for the Performing and Visual Arts in Houston. He moved to Keachi, where he had previously worked. There he established his studio and began the recording of faces and stories that have resulted in this show. 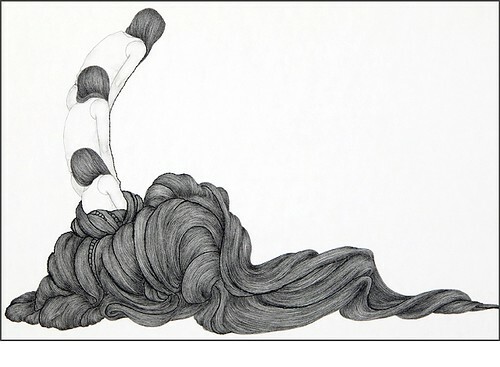 "Further on Down the Road" opens Thurs, Nov 15 and continues through Fri, March 15, 2013. No charge. See images and story at www.traviswhitfieldart.com. Jeff Midkiff, a photo by trudeau on Flickr. The music in this concert not only evokes impressions of rivers, mountains and rainstorms, but also lives influenced by the natural world, says Michael Butterman. 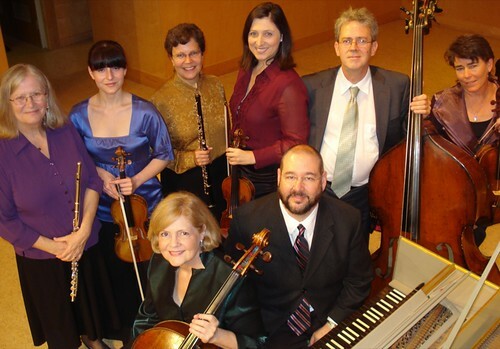 The performance is Sat, Nov 17 — 7:30 pm, RiverView Theater. - The Moldau by Smetana. - Beethoven's Symphony No. 6, the Pastorale. - From the Blue Ridge, Jeff Midkiff. Free ‘Inside the Music’ pre-concert talk starts at 6:30 PM. Free shuttle starts at 6:30 PM. Shuttle picks up at Regions Bank parking garage at the corner of Milam & Market Streets. Tickets & melodies from the show. Shirley Q. Liquor to entertain Shreveport at Karpeles Manuscript Museum Friday, 7:30 p.m.
Live from Karpeles Manuscript Museum this Friday at 7:30 p.m. will be Shirley Q. Liquor, along with her alter-ego, Betty Bufferfield. As an evening promised to be full of laughs, Shirley will regale the audience with her observations on modern life. Presented by River City Repertory Theatre, “A Night with Shirley Q. Liquor” is the theatre company’s fall fundraiser. Tickets are $35, and a cash bar will be available. Click here for a taste of Shirley Q. Liquor’s unique view of the world. Knipp, who is a former priest, R.N., EMT and politician, created the character on his home message machine in 1992. Karpeles Manuscript Museum is located at 3201 Centenary Blvd. To reserve your ticket, call the theatre’s box office at (318) 868-5888 between 11 a.m. and 4 p.m.
minicine? Shreveport, a photo by trudeau on Flickr. minicine? is gearing up to host x-mas under da ground, the every-other-year, open, all-inclusive exhibition of “Made in Shreveport” film, art and music. This year’s multi-media extravaganza, says David Nelson, will take place on Sat, Dec 8.
minicine? is looking for film and video works under 5 minutes…that's total running time with titles, credits, leaders all included... No exceptions!!!!! Any format is considered. There is no submission fee. Please include a stamped, self-addressed envelope if you would like materials returned. Deadline for submissions is Tues, Nov 20. Rachul McClintic, Bona Fide 2 exhibit, Artspace Shreveport, a photo by trudeau on Flickr. Dripping-fresh and irreverent paintings from artists such as Rachul McClintic and Jeormie Journell will buzz the party Thurs night at Artspace Shreveport. The Bona Fide 2 exhibit will also feature Best of Show prizes in 3 disciplines. See artspaceshreveport.com for a list of artists and the jurors. The 2012 City of Shreveport Artist Fellowship awards will also be presented. Artisanal appetizers and a salty cash bar. The Crocodile team: soundtrack, Tracy Chappell, percussion, Ron Hardy, the crocodile, Stanley Robinson, the boy, Poetic X, the dog, Tarama Davenport, the cat, Dazaria Hamilton and the rabbit, Ron Hardy. 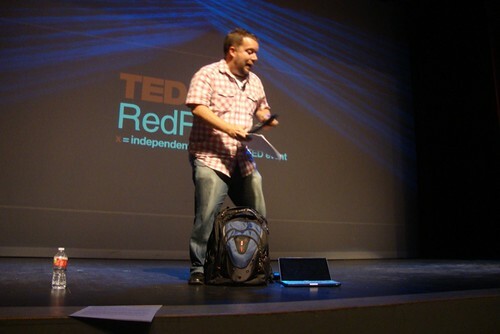 Sketches, script and animation, Robert Trudeau. Coates Bluff Trail, Shreveport, a photo by trudeau on Flickr. While trekking Coates Bluff Trail will be enhanced by the advent of colder weather, a visit to the East Shreveport site should be embarked upon as soon as you are able. The trail is marvelously appealing. It is serene, romantic and well-maintained. The sounds are ethereal. Admittedly it's a bit buggy at midday on warmer days. Caddo Magnet HS geography students returned with their first sycamore and cottonwood leaves and pasted them into notebooks. They also began a descriptive essay on the gorgeous woods. 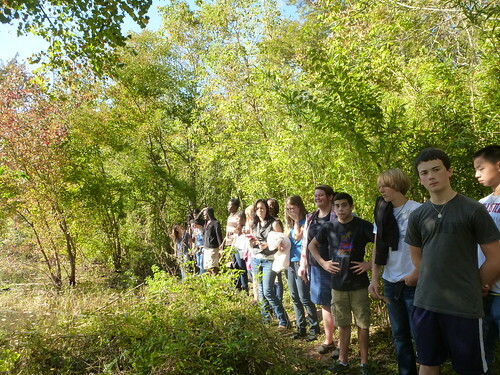 Teachers at Magnet take students to the trail for art projects, photography, poetry and also for studies of flora, fauna and terrain. Soon members of A Better Shreveport will be expanding the trail. An extension called Coates Bluff LInk is being roughed out on the other bank of the Bayou Pierre slough. It will be wide enough to accomodate bicycles as well as pedestrians. Monica Zeringue, New Orleans: monicazeringue.com, a photo by trudeau on Flickr. Poetry reading at Meadows Museum on Sun, Nov 4, 2 pm, says Ashley Havird. Listen to and chat with Julie Kane, Louisiana's laureate poet. 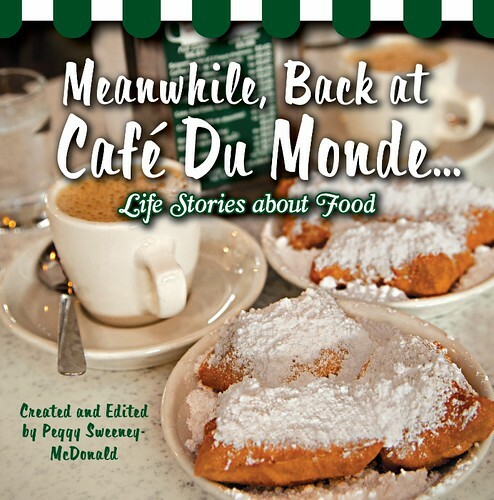 From Pelican Publishing comes a collection of Louisiana/Shreveport food stories: Meanwhile, Back at Café Du Monde…Life Stories about Food, created and edited by Peggy Sweeney-McDonald. The collection is a humorous and heartfelt compilation of food essays accompanied by recipes and photographs, says Jill Browning. * Representative Henry Burns * Tom Pace * Carolyn Roy * Debbie Allen * Sandy Davis * Marlyn Monette. * Jeff Kleinpeter, President of Kleinpeter Farms Dairy. MLP: Acosta, Gauthier, Slocum and Chavis in Next Fall, a photo by trudeau on Flickr. Next Fall is about two gay men in a committed relationship with a twist, says Wikipedia. One, Luke, is devoutly religious; the other, Adam, is an atheist. The Centenary student cast includes Nathan Gauthier, Jonathan Slocum, Victoria Chavis, Daniel Proveaux, Chelsea Hockaday and Robbie Oliva. Director is Barry James Acosta. Opens Nov 8. Runs one weekend only. 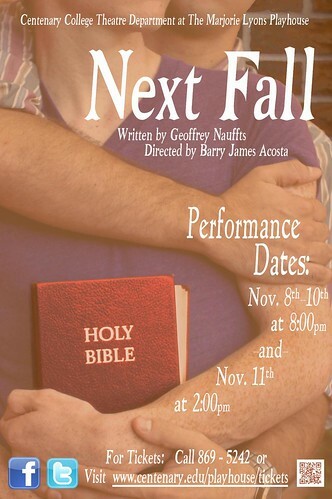 Performances Nov 8, 9 and 10 at 8:00pm and on Sun, Nov 11 at 2 pm. $15, adults, $12, seniors and military. $10, students. Tickets @ www.centenary.edu/playhouse/tickets or 869-5242.